Thus far, I’ve not done anything serious with much more with database like Mysql, some Postgres and on the NoSql side MongoDB (with a frisson of some use of Redis for some barely-more-than basic things), but I saw some mention of using RedisGraph PHP Client back in late October, as part of my regular scan of the packagist feed for new PHP/Composer packages. The ‘kjdev/redis-graph’ package is the first example of an interface library to RedisGraph – an extension module to Redis that became possible with Redis 4.0’s release. Other modules now include Bloom filters, rate-limiting and a JSON type. This caught my interest. I’ve been a fan and user of Redis for several years, and it’s now a go-to tool that I use for most of my caching needs. I’ve not used it as a ‘serious’ database yet though, considering it more as a transient cache. That opinion is changing fast though. How fast to run a useful query? How fast is it to insert new (bulk) data? How much space does data take up? Slow running tests are a bug – they stop you from doing as much as you can with your code, & its quality. Spend a little time working on making your tests better, clearer, and faster – and you’ll reap rewards from your work. I’ve had a couple of useful improvements in the time spent running my PHPunit tests recently. In early 2016, I suggested an addition to the SncRedis-bundle. The project itself is an fully-featured add-on (‘bundle’) for Symfony framework projects to easily do a number of very useful interface functions between Symfony and the Redis database/cache. It can, for example, quickly enable all the sessions to be put into a Redis server, and also cache the Doctrine meta-information as well as anything else that the developer would like to cache. My additions were to do some relatively simple things – adding tags and aliases to the services it created from the configuration – in effect, really just adding some variables to the internal Symfony environment that could be used elsewhere, if required. Now, it’s time to show you how why I thought it was useful to add, and what you can do with it. You can do a lot with Redis, and when I’m using it, I prefer to keep things as separate as I can – internal (admin) caches, vs data that would be used on the public website, keeping the website sessions data apart from emails that are waiting to send, and background jobs that are being run. With Redis, and the SncRedis bundle, it’s easy to keep them apart. While databases like MySql and Postgres give databases names, Redis prefers some simplicity – by default, it will create 16 numbered databases (0-15) – although telling the server to use more is just a quick config change away. That’s easy enough to refer to or use, and also to keep up to date since it’s right next to the configuration. But, I’m a developer that loves to write code, and hates to keep documentation up to date, so I spent a few hours coding to allow the code to document the configuration. That’s what the Symfony Aliases and tags allow for – it’s easy to fetch the data, and get the information about the database from Redis to be shown with what I’ve named database – the ‘alias’ I’ve set in the configuration, and so now I can use that name to be able to find out more about the contents of the database. Here’s sample output of a fairly simple Symfony command I’ve written. If there’s no specific parameters of something to look at – it shows the list of databases and their aliases. Alternatively, I can use the name (here, ‘default’ or Redis dbNum:1) to get an item from the Redis database. Currently, that’s just an index into a dumped list – but it’s just as easy to get a named entry. Add a CompilerPass – this sends the container, to some code that can collect data from it, before it is finished which will remove unused services and information. In the CompilerPass, find all the services tagged with the ‘snc_redis.client‘ tag, and store the data required (in this instance, the Redis client, and the ‘alias’ that it is known as). Lets go through them step class by class. Adding the CompilerPass – This is quite easy – we can create and add the relevant class right in the Symfony Framework’s core AppKernel.php class. You can also add the CompilerPass from within a bundle configuration, if you have any. The CompilerPass itself finds the tagged services (themselves created in SncRedis from the configuration), and arranges for them to be added to a holding service (the `AppBundle\SncRedis\ClientsList` class/service). Because each service could have more than one tag attached, we loop the list of potential tags, and have them added to the ClientList. Finally, the `AppBundle\SncRedis\ClientsList` class/service itself. A very simple store and retrieve. We can also get all the data, or just for a specifically named service, if it exists. So – now we have a service that can store the data – how to use it? Get the service (which only then fills the information), get the clients and loop around to collect the parts of the information we need! Once you have the name of the alias name of the queue, it’s simple to use that as part of the name of the snc_redis client service name, and so collect data about, or from the Redis Database service itself. A recent post showed how to setup Code Tombstones – but there are other , even more insidious pieces of code in a project. The code you know you aren’t using now, but you wrote ahead of time – because you think it will be useful, or you have plans for it, or any one of a dozen more reasons. Chances are – you might never get back to it, and it’s just taking up important space. Disk space, or space in version control isn’t worth worrying about though – it’s the space in your brain that is most important for a developer. … and all it took was deleting 2,615 lines of PHP classes, tests, Twig templates and yaml configuration – none of which were being used, or were in a state to use right now. The number of unit tests also dropped from 1,003 with 4,026 assertions, down to 984 and 3,966 assertions. None of that code need ever be forgotten – I made a quick and simple branch – deleting-code branch and removed a block of related code (at least what I could find) per commit. * 131864b – Removing the Mailable & Mailing code. I’ve also matched those commits with some issues, and plenty of searchable text that I can use to find them in the git log. I, for example, I decide to come back and take another look at the ‘Mailable’ code (which is intended to make configuring and sending emails easier) – I can just search for ’emails’ or ‘mailable’ and revert just a single commit – and I’m right back where I need to be. But for now, I want to just do it the ‘hard way’ with simple SwiftMailer-related code before I decide what can be done in an easier way. While Twitter can be really annoying, sometimes it can help to promote some wonderfully simple ideas. One of these came from Andrew Woods (@awoods) – a github repo called php-in-seattle. It’s a simple idea – just a list of companies around a geographical area that use PHP. What it can enable is of mutual advantage to the companies, and developers that might be looking for a new job. So, I started a similar list for the London (UK) area. There are a lot of companies in London that use PHP, and it is hard to keep track. If you know of any PHP companies with offices in the (Greater) London area (within ~20 miles), add them with a quick pull request (you can also edit directly from within the Github website if you want). I’ve also added another list for recruiters that deal with a lot of PHP roles – though as they are somewhat less technically savvy, there are only a couple of entries, one of which is a recruitment startup. Starting the list actually helped to earn me a T-Shirt – for DigitalOcean Hacktober (which I’m actually wearing as I write this post :D). To help spread the PR and Github Karma, when someone asked to add a new item to the list, I also added them as a full collaborator on the project – allowing them to add more – something that a some of them have already done – like these fine developers. As a developer, I know well that anything worth doing, is worth testing, so I looked around and realised that there was indeed a way to test the URLs that were in the list. It’s called ‘Awesome_Bot’, and it is mostly aimed at the various ‘Awesome ‘ lists that helped to inspire the list in the first place. Setting it up with Travis isn’t hard, and so I’ve also enabled that. It has taken a little tweaking of the configuration (even this morning, when I added Travis-CI to the whitelist to allow for redirects of the SVG build status button), but it has also helped to catch a couple of problems. HacktoberFest 2017? Don’t wait till then, though! 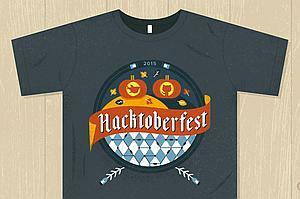 Although HacktoberFest 2017 hasn’t been announced yet, if it does happen, I’m aiming to plug the project more in early October – but that doesn’t mean you have to wait until then. If you work at a company based in London (or at least easily commutable), take a look, and throw me a pull request! If you’ve not used Git/Github before, then let me know, and I can walk you through what to do, or worst case, just drop me an email with the relevant details and I’ll add them myself on your behalf. I’m considering a wider UK list of companies that use PHP, probably broken down by region and then larger towns/cities. If you think it’s a good idea – let me know with a comment, and/or Thumbs-Up (or down) on the issue I’ve created for the idea. Should I create a separate PHP-in-UK repo? Version 0.9 of scheb/tombstone autoloads a file with a tombstone() function. See the bottom of the post for a fix to override that in your own code. In a large project – particularly one in a dynamic language like PHP, as a project gets bigger maintaining full control of the code can be difficult. New features are written, old ones are changed or deprecated. Sometimes code is left behind, unneeded in later versions, but still in the code-base. This can be even more difficult in a full-stack framework like Symfony or Laravel, where some of the code is only run via the framework – such as Event Listeners/Subscribers, or the authentication layer. Code test-coverage is good, but unit tests can’t tell you if the code *isn’t* being used elsewhere. You can spend time updating code, and the tests that just aren’t useful. In late 2015, I came across an interesting potential solution – ‘Code Tombstones‘. They are a more refined version of an exception or simple echo/die. In production all they do is make a log entry – ‘I was here’. In a development environment, you might choose to immediately quit and complain – having the developer investigate if the code is genuinely useful or not.. They are all just simple strings that will just be output as-is if the function is called, but knowledge is power when it comes to tracking down what is happening. You could also put the call into a branch (one choice of an `if` statement, for example). You can even put in into a PHP file outside of a class – though this will risk a large number of ‘ordinary failures’ because PHPunit (for example) will often read many files to find testing code, and so any code outside of a class in a file will be run, showing an error. This gets a little more interesting, because you may well want to have different configurations in different environments. In development or testing (including, for web-frameworks, like the Symfony app_test.php file) – a simple no-op – or you might want to send the messages produced to the console and then stop execution entirely. In a production environment – the whole point is to just log and then continue. In my prod-ready tombstone(), you see I also take the further step of catching any errors to then swallow them – you would not want testing code to break your live site! There is one final thing I would suggest though – make sure you test that the tombstone will in fact write to the logfile on production. After a server move, I went several months not realising that any writes to the log was trying to write to a file that could not exist, but that error was being discarded. I put a quick failing-test URL that would force running the tombstone confirmed that the logfile was created as I had planned. The library I use to write the logs comes from Christian Scheb, (scheb/tombstone), it takes care of the fiddly work of skipping enough of the debug_backtrace to figure out exactly where the function was called, and to log it, by as many log-handlers as you care to set. As the scheb/tombstone library now autoloads a default tombstone() function, if you want to override that with a custom version (per environment for example), you’ll need to (potentially) move your versions in the web/app*.php files to above the require '../vendors/autoload.php'; line. One of the advantages of a side-project is that you can be a little extra passionate about getting things just right. If you want to increase code coverage because you think that it’s good, you can – after all, it’s just some time now doing things that you like. So, earlier in the year, when I saw Sebastian Bergmann’s article on ‘Questioning PHPUnit Best Practices’, I added it to a little (well, it currently stands at a count of 20 items…) list of clean-ups and improvements. Well, a couple of days ago, I had the time to take a look at it, just a simple – almost relaxing – piece of work to convert from annotations-driven Exception testing to code-driven expectation tests. … to the newer style, ‘$this->expectException(…)’, which came in with PHPUnit 5.2. Since it is now in PHP code, and no longer a annotation comment, it can use the namespace functionality and the ::class name resolution for shorter names, that will also still easily usable by automated PHP-parsing tools (For example, PHPStorm reads and understands the use lines to find all instances of the classes, even if they are aliased). The last thing I did before moving on was make sure that new @expectedException annotations didn’t creep back into the codebase. For that, I got a little ‘hack-y’. There are probably better ways to do it (with a PHPCS sniff), but I couldn’t find an easy way with a quick search – so I built my own. First of all, a little history of how I develop software, and run tests. Back in 2013 I published what I called ‘personal-ci‘. It is, at it’s core an ant build.xmlcontrol file that runs a whole suite of tests. I’m still using the same system now, extending it very occasionally with new tools. I’ll run the full set of tests maybe a couple of times a day while a system is in frequent development and that will take about five to six minutes to run. A slightly smaller subset of the unit tests will only take two seconds though! The difference in, in 5.5 minutes, it will also run a full php_codesniffer report, phpcpd, over 170 Behat integration scenarios, PHPUnit with code-coverage reports, PHPMetrics reports and Sami for documentation. So, in my main build.xml file – I setup a couple of searches in the src/ and tests/ directories – if the string ‘@expectedException’ appears – fail. If one did stray back in, actually finding them is easy with ack or my own new favourite – ag. I’ve added that check to my php-linting action, which is run by default when ant is run. So, that’s the latest addition to my ‘personal-ci’ workflow, updating to the latest best-practices in testing exceptions with PHPUnit, and making sure that the old-style annotations can’t be used in future. Having just watched Sebastian Bergmann’s “The State of PHPUnit” presentation from Fosdem 2015, I was inspired to install and test a project of mine with the latest stable PHPUnit – v4.7. It was easily installed on the command line. I installed it as a new, global, tool because in my project I am using the “ibuildings/qa-tools” repository to install and help run a number of QA tools – and the stable 1.1. * versions lock PHPunit to v3.7 – the last released version of which was in April 2014. My fix was simple – it took some systematic editing of the phpunit.xml file to figure it out. At first, I tried commenting out the various add-on I’ve got for PHPunit, tools to report slow tests, and to automatically close and check the results of any Mockery expectations. None of them helped, and so I started on the parameters in the opening XML tag of the file. Removing that from the top of the phpunit.xml file, solved my issue, and now I’ve also gone on to update the “ibuildings/qa-tools” package to dev-master to get the latest-and-greatest (including automatically pulling in PHPUnit v4. * and Behat v3, among others). It was reassuring to know that I had the previous configuration safely stored in version control – so I could always just revert back to something that had worked. Running a separate copy of PHPunit installed outside of the project didn’t hurt either. I’ve said for a long time that “you don’t get paid the big bucks for knowing what to do – it’s for knowing how to fix it when you make the inevitable screw-ups”. Now, when I run my PHPunit-tests, I get a lot more warnings about ‘risky’ tests (all of it “This test executed code that is not listed as code to be covered or used”) – but those aren’t big issues for me right now. The take-away is, don’t be afraid to upgrade, and if there is a problem, systematically (temporarily) commenting, or removing configuration, or code, can find the issues surprisingly quickly. Just a quick note to point out a couple of presentations on Queuing. I’ve recently shown the second (which admittedly has some significant things in common with the original, and not just the web-based slides).